In pharmaceutical tablet production different ingredients are used. Changing the concentration of these ingredients affects the colour of the tablet. 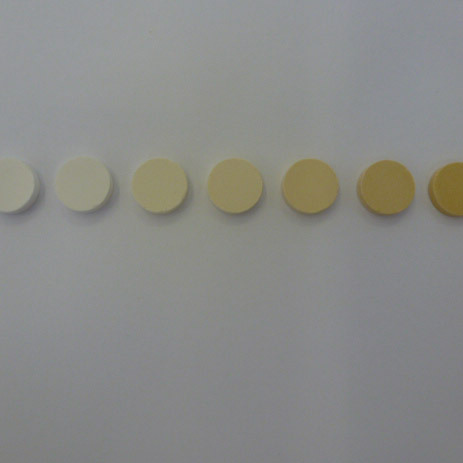 The colour gradient varies from white and beige to yellow.